Hello! My name is Tess Carges, I am an English major, and I will be a junior in the fall! This summer you will find me in Rayko Photo Center in the heart of San Francisco. While Rayko used to be open to the public, providing a gallery space, developing darkrooms or digital labs, it is now home to First Exposures, aka my new home! 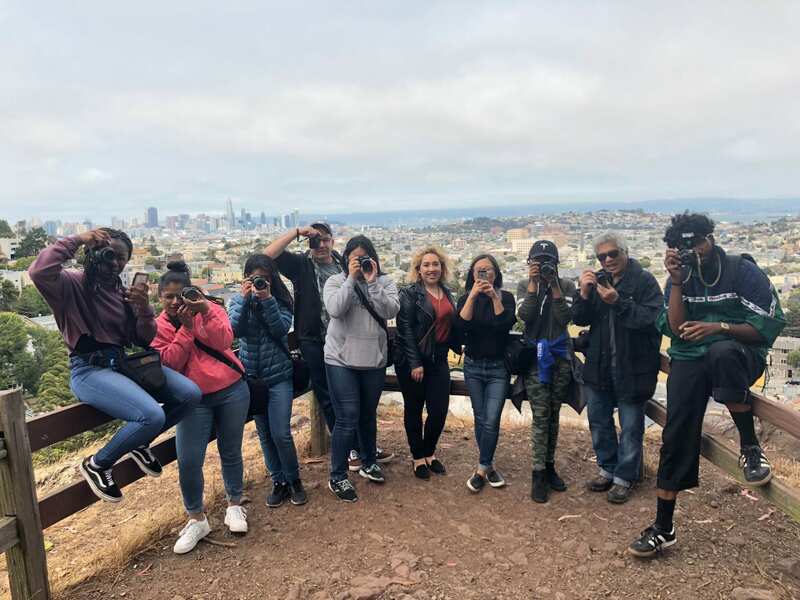 First Exposures is a non-profit that teaches underserved youth photography by pairing youth mentees with community mentors—we strive for a 1:1 ratio. Plus, we have instructors that lead the digital or darkroom class. As an intern, I feel like I have the best position. I basically get to do it all! I show up before classes and work on the administrative side of things. I’ve made little webpages (i.e. https://firstexposures.networkforgood.com/ ) that I am far too proud of, I’ve created new mentor applications, digitized the photography archives, and much more! Each mentee receives a Nikon DSLR at the beginning of the summer (fancy shmancy, I know) and so I have overseen that all of the cameras are ready to be used by the kiddos. I’ve also licked more envelopes than I care to relay but it’s all for the good of the cause. My favorite part of being an intern is that I get to be in the classes, helping the mentees and learning about photography along the way. As an intern, I am not paired with a particular mentee or mentor, instead I get to walk around and meet everyone and be very involved, which I absolutely love. I have learned so much about photography, digital editing, and darkroom development that I can now help teach! Yesterday, our challenge in class was to “get lost,” so we picked a place on the SF map that we had never been to, and went! We wound up at Billy Goat Hill with spectacular views of the city. Next class, we will do a photo share and I will get to see what the mentees have been working on and provide feedback on their work. It is pretty amazing how quickly the mentees pick up photography and make beautiful prints. Speaking of beautiful prints, we also recently had a gallery opening so I got to try my hand at curation! It was surprisingly difficult but very enjoyable. I worked with the youth committee at First Exposures to decide how best to use the space to enhance everyone’s work. Opening night was a success! 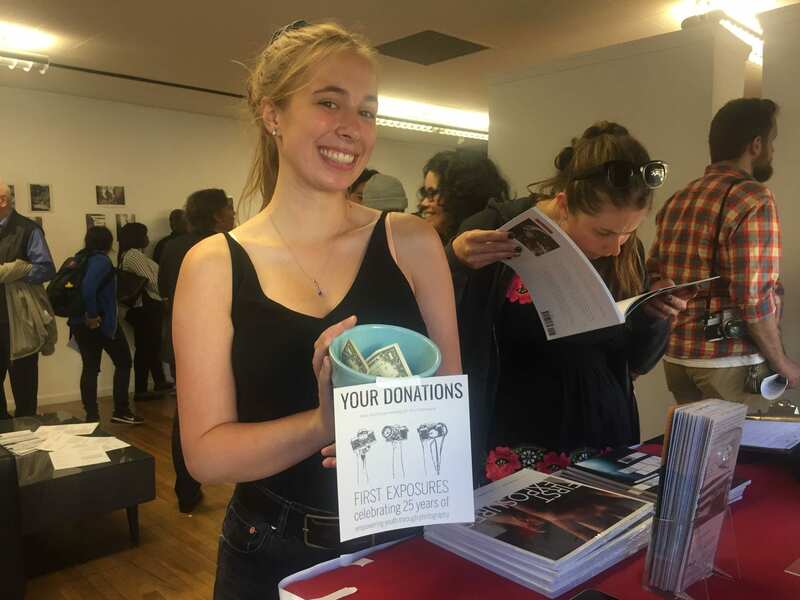 I sold merchandise and mingled! Overall, I have loved my time at First Exposures. I am learning so much about the work that goes on behind the scenes at a non-profit, how best to work with underserved youth, administrative skills, and of course, photography!